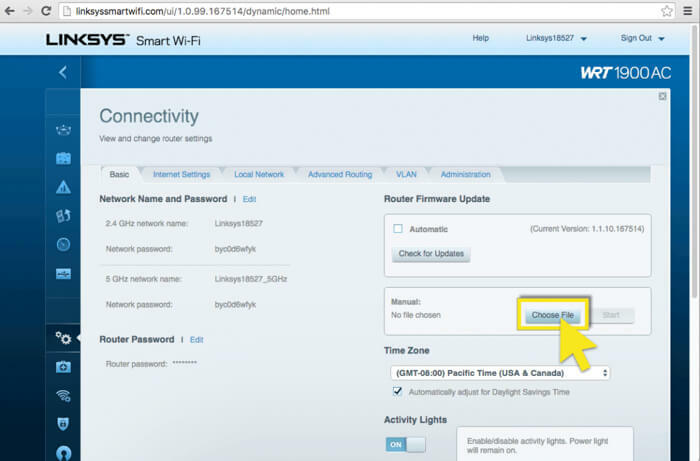 This tutorial will teach you how to setup your ExpressVPN Router App on the Linksys WRT3200ACM. IMPORTANT: The below video shows the steps for setting up the WRT1200AC. You can follow the steps in the video but will need to download the correct firmware for your 3200ACM model. 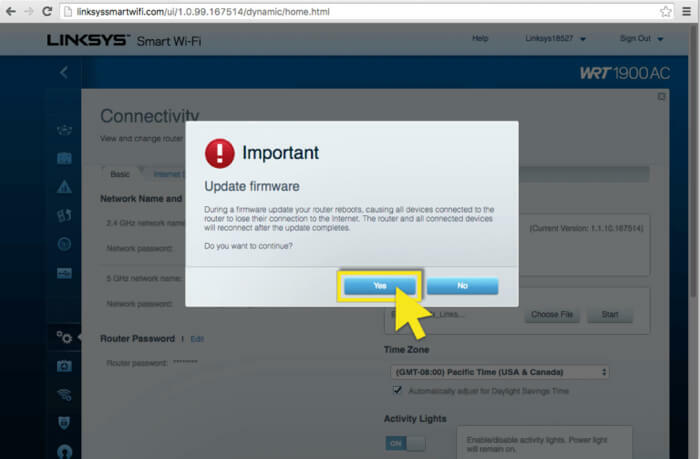 Your router will not work if you use the wrong firmware. Note: This tutorial is for users who purchased the WRT3200ACM from a source other than FlashRouters. If you purchased your router (WRT3200ACM, WRT1900AC(S), or WRT1200AC) from FlashRouters, use this tutorial instead. 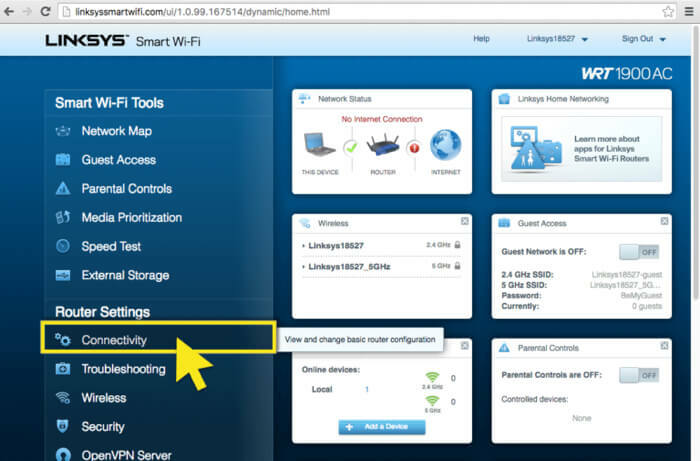 If you are using the Linksys WRT1200AC (purchased from a source other than FlashRouters), use this tutorial instead. Your router will not function if you use the wrong firmware. If you are using the Linksys WRT1900AC(S) (purchased from a source other than FlashRouters), use this tutorial instead. Your router will not function if you use the wrong firmware. For other routers, please see instructions for other router models. Need help to figure out which model you’re using? See this troubleshooting guide. To purchase the Linksys WRT3200ACM, please visit the official Linksys website or the official Linksys Amazon page. Click on Router on the left side of the screen. 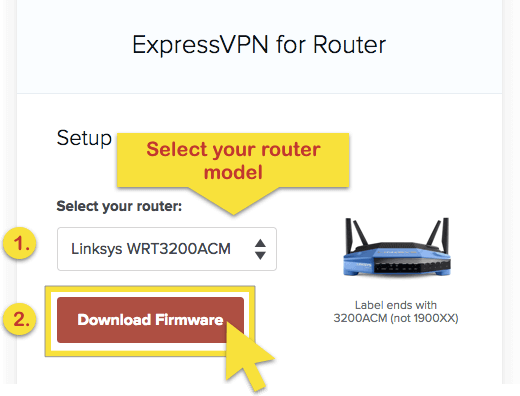 Next, select Linksys WRT3200ACM (see this guide on identifying your model) and click on Download Firmware to start downloading the ExpressVPN firmware. You will be flashing to this firmware later, so make sure you select the correct firmware for your model. NOTE: Flashing the firmware will erase any current settings on your router. Although you can revert to the default firmware, users are not recommended to attempt the below without prior technical know-how. Connect your computer to your router using a cable. Use any of the four blue ports (labeled 1-4) and not the yellow “Internet” port. 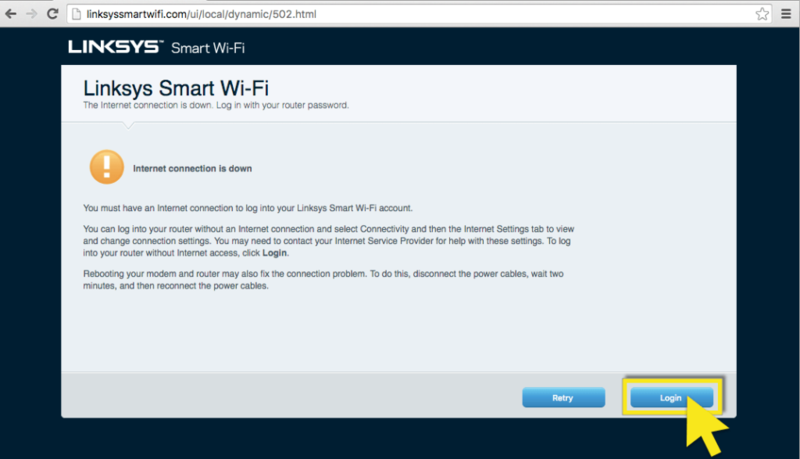 While your router is NOT connected to the internet, go to linksyssmartwifi.com. You can also access your router setup screen by finding the router’s default gateway. Check the boxes for “I have read…” and “I want to skip…”, then click Manual Configuration. You will not see this screen if you have configured your router before. After loading, you will see a screen notifying you that “Internet connection is down”. Click Login to proceed. You will not see this screen if you have configured your router before. 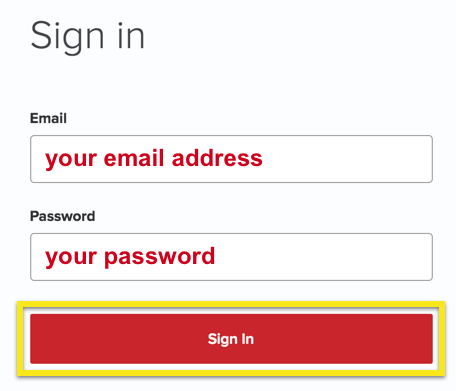 In the “Sign In” screen, enter “admin” then click Sign In. Note: the following screens depict the flashing process on the 1900AC(S). Please note that the steps are exactly the same for the 3200ACM, just with the 3200ACM firmware instead. In the main “Smart Wi-Fi” screen, click Connectivity. Select the ExpressVPN firmware and then click Start. You will see a notification informing you that the firmware update will require a reboot of your router. Click Yes to continue. Once the firmware has been successfully installed, click Ok to initiate the router rebooting. 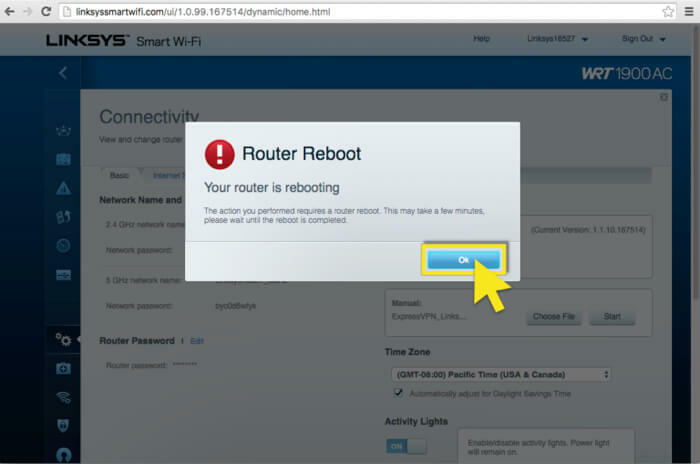 After the router has rebooted, you should be automatically redirected to www.expressvpnrouter.com. Login by using admin as the username and entering the 8-digit password found at the bottom of your router. For more help on finding your passwords, see here. At this point, connect your router to the internet. This can be done by plugging your internet cable into the yellow “Internet” port at the back of the router. Connect your router to your modem (if you are using this router as the primary router) or existing router. 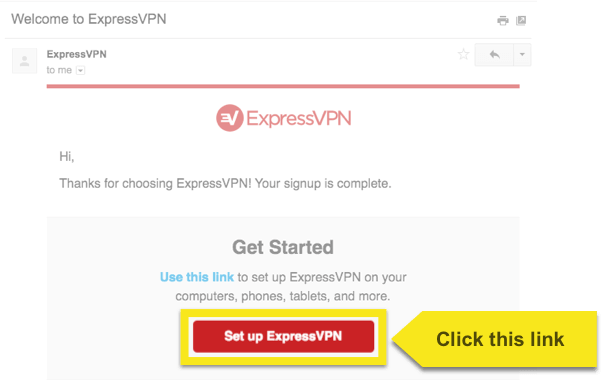 If you have not activated your ExpressVPN account, sign in to your account, click Set Up ExpressVPN, and copy your 23 digit ExpressVPN activation code. Click Activate. Wait a few seconds while your ExpressVPN Router connects to the top recommended VPN location. 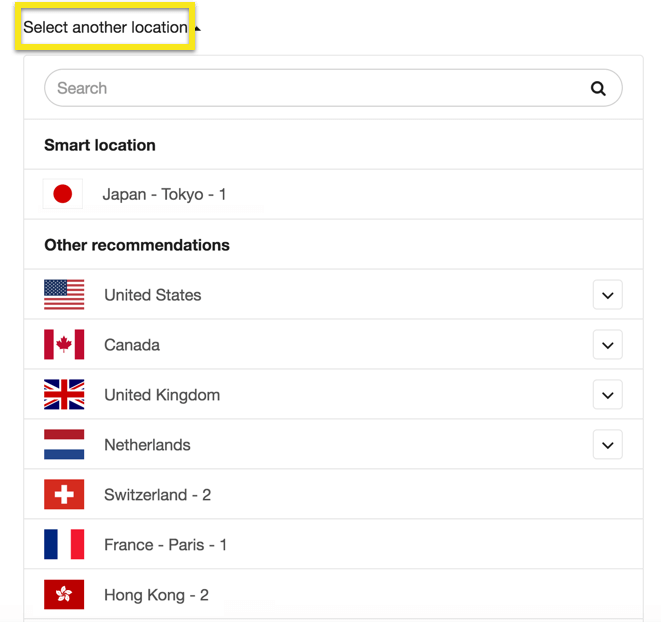 You can change locations easily by clicking on “Select Another Location”. NOTE: all devices connected to ExpressVPN will appear to be from your connected country. To connect any device to the VPN, plug its network cable into the ExpressVPN router or connect the device to the ExpressVPN router’s Wi-Fi. The network name and password are given as the last two items at the bottom of your router. Router password: the 8-digit number on the same sticker found on the bottom of your router, without the ”-“. For example, if the password is printed as 1234-5678, enter the password as 12345678. If you are looking to use the MediaStreamer DNS servers, read this article: How to setup DNS on your Linksys router.